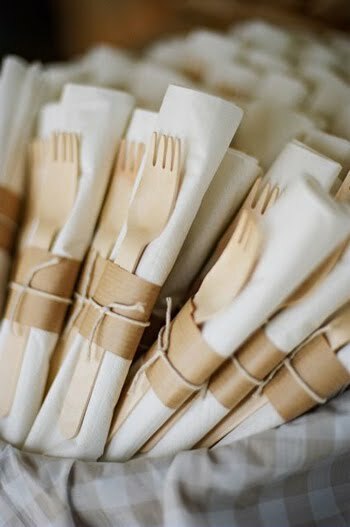 To see the Ecoware in action, take a look at these photos from Michelle and Noah's wedding, exquisitely photographed by Liz Banfield. The bride, Michelle, is also a wedding photographer, and she put her experience in the industry and her artistry to work to create an absolutely beautiful, sweet picnic wedding. Check out many more details and beautiful photographs from Liz Banfield and Stephanie Colgan on The Bride's Cafe blog. 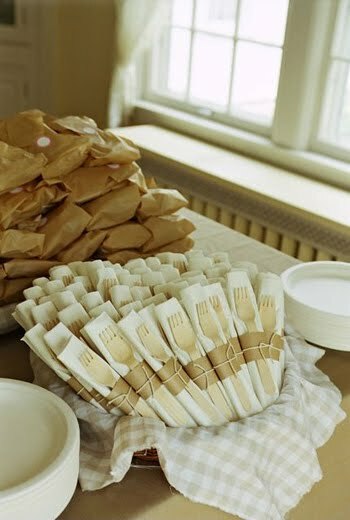 Every aspect of the wedding is as lovely and well-thought-out as these great wooden utensils!